St. Ambrose is proud to have been a part of the NeighborWorks network for 13 years. 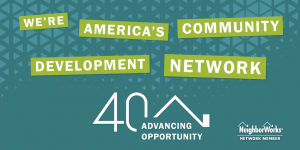 NeighborWorks America has provided significant funding to support our programs as well as facilitated training sessions and networking opportunities for our organization. We are especially grateful for their help with our 40th anniversary. In the video below you can see some of the fun from our last big celebration featuring former NeighborWorks CEO Ken Wade. We are so glad to have them be a partner again for our 50th anniversary and help them commemorate their own 40th anniversary this year. It’s a 40/50 celebration! 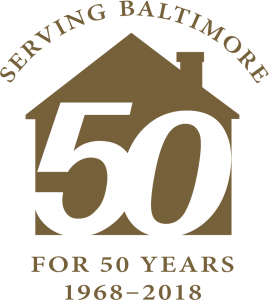 Through their Priority Markets Program, the Wells Fargo Foundation has awarded $80,000 to St. Ambrose Housing Aid Center for the preservation of affordable rental apartments in the Hampden community of North Baltimore. 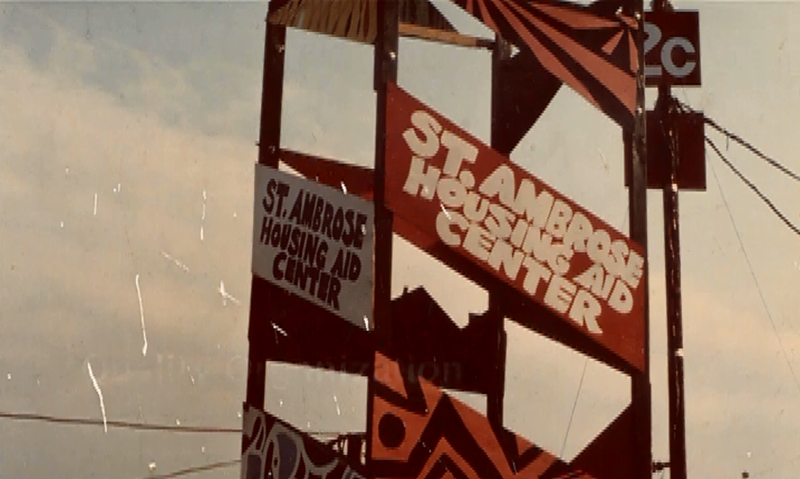 The award provides funding needed for St. Ambrose to begin a comprehensive renovation of their Union Ave. Apartments. This garden style apartment complex is home to 54 families. Beyond the replacement of heating and hot water systems throughout the Union Ave. complex within the last five years, only routine maintenance has occurred since the initial renovation in 1996. However, the property needs a substantial renovation to the interior and exterior to assure that it meets the competitive standards of today’s market in a neighborhood that has been trending upward for several years. The planned upgrades include the addition of central air conditioning and removal and replacement of window units. 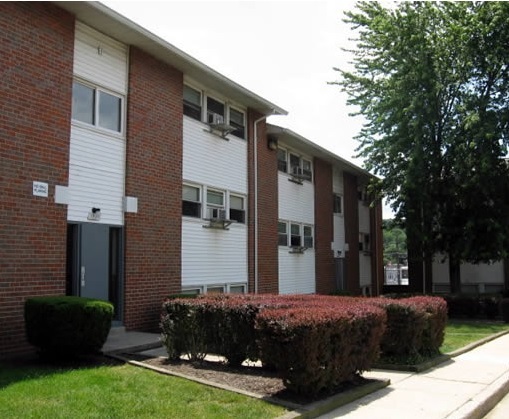 The agency is holding units vacant to enable an in-place rehab. Residents from an entire building will relocate to renovated vacant units allowing for the total renovation of one building at a time. 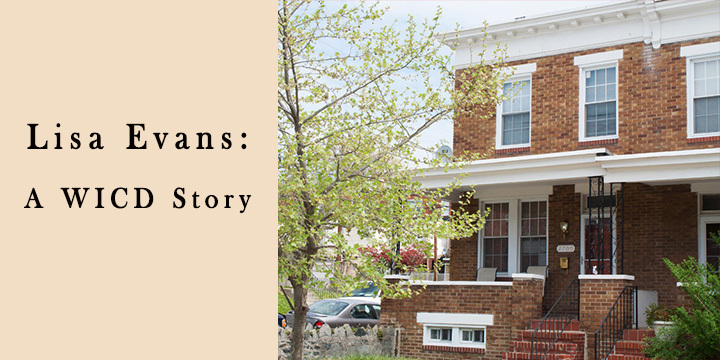 With a severe lack of affordable housing rentals in Baltimore, the funding from Wells Fargo represents a significant investment in the Hampden community and helps improve the quality of life for the residents of the Union Ave. apartment complex. Union Ave. provides affordable homes for families, which are close to public transportation and schools, in a neighborhood bustling with newer developments. 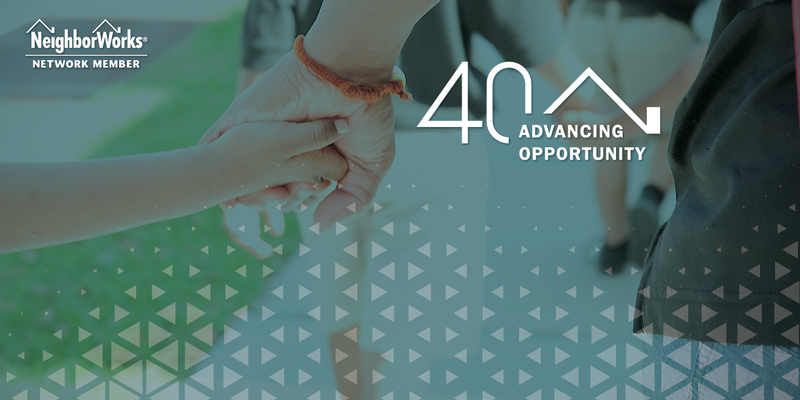 The anticipated start date for the renovation is the summer of 2018 and St. Ambrose is committed to creating a property that demonstrates affordable rental housing can blend into a desired urban aesthetic and be an asset within the community. On Jan. 29, in the brightly colored auditorium of the Roosevelt Recreation Center, St. Ambrose program directors Bill Rubin and David Sann, presented the renovation plans to a group of 30 Hampden community members and the Hampden Community Council. 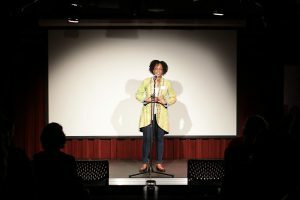 The directors answered questions, assuring the community that no residents would be displaced and that the renovation plans were designed to keep the construction period short. 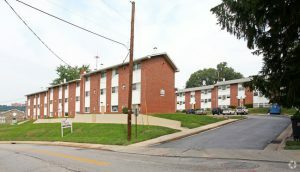 Overall, there was appreciation for the planned building renovations to improve living conditions for the Union Ave. apartment complex residents. “I’m glad those people are getting nicer homes,” said one participant in the meeting. “And for the rest of us going by it will look good. With a unanimous vote, the council agreed to write a letter of support for the project. St. Ambrose thanks Wells Fargo and the Hampden Community for their support in creating better housing opportunities in Baltimore. Christina, aka Jolley, has been homeless for almost three years. She stayed with friends for several months while looking for a permanent place to call home for her and her kids. Our Host Home Program helps people like Christina find stability. 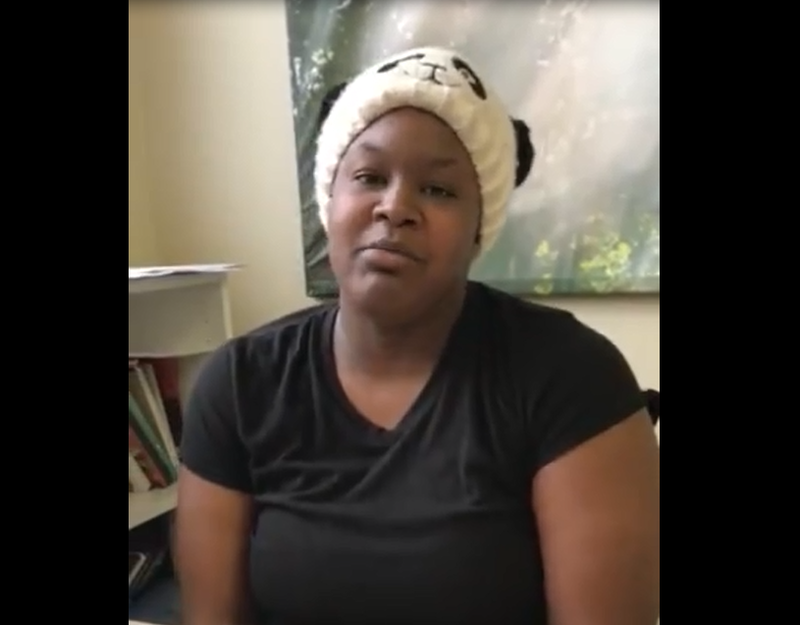 Listen to her story below as she tells us what it means to a safe and secure home. Organizations like St. Ambrose can do little without the support of individuals and other partnering organizations. With their help we are able to build a stronger network of services and resources for our communities. Religious organizations are one group of supporters who helped St. Ambrose during our early years, and still do today through impact investing. These religious loans showed a tremendous amount of trust and commitment to the causes they were supporting, and they had an incredible impact. In addition to the substantial amount of loans and direct investments they have given to organizations, Women Religious strongly influenced the growth of the Community Development Financial Institutions. In fact many of the CDFIs today got their start from congregations of Women Religious. One of the earliest examples of this investing came from the Adrian Dominican Sisters. They had become increasingly aware of redlining practices and in 1978 established an alternative investment loan fund. The loans allowed the Sisters to develop stronger relationships with the organizations as opposed to giving grants. 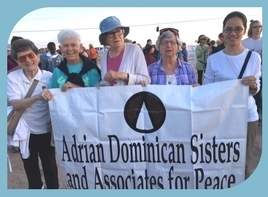 St. Ambrose is just one of the recipients of the over 500 loans distributed by the Adrian Dominican Sisters. Other religious lenders who have supported St. Ambrose include Sisters of Notre Dame, Sisters of St. Francis, Sisters of Charity, Sisters of Charity of the Blessed Virgin Mary, and several others. Their funds have made a significant impact on our ability to work in Baltimore. For more on Women Religious and their innovative funding methods, check out the Shelterforce article! Syeetah never thought she could be a homeowner, but she has been living in her St. Ambrose home for 5 years. Today she sits on the board for St. Ambrose and is happy to tell her St. Ambrose story of how her dream of home ownership became a reality. Lisa Evans was born and raised in Baltimore. 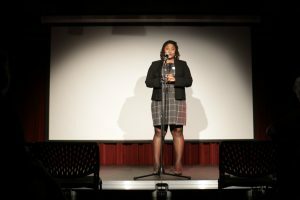 After working in D.C. for a while she found an interest in community development work. Baltimore, her home, had been working on a lot of innovative projects and had some excited programs, so she figured, why not go home? “When the foreclosure crisis hit, it hit in a huge way. We saw what lending did to communities and the strong, negative impact it could have. 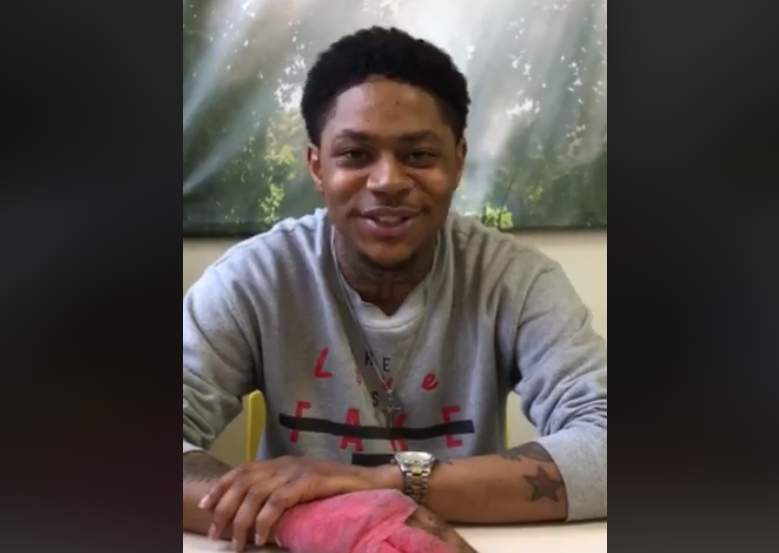 All of a sudden community development became community stabilization. Neighborhoods that were once improving or at least stable were on the downturn. The focus became how do we make sure we didn’t see more vacants or blithe? We would fix one house and 4 more vacants would appear. Property values plummeted, dropping around 65% in value. But now neighborhoods are improving. Barclay area is a great example. 10 years ago, vacant lots made it almost impossible for developers to rent properties in that neighborhood. And how did it turn around? Community development is about coming in and doing work that creates that change. Ramona is a third-generation “Baltimorean.” She has known St. Ambrose for over 22 years and has seen the way it has worked in her city. From all of us at St. Ambrose, we hope your Holidays are merry and bright. 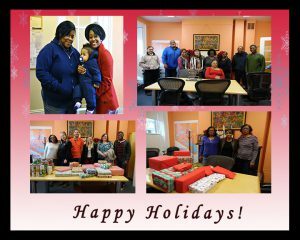 Thank you so much to all our donors who helped make the holiday special for our families and helped spread joy.